Mary TV’s Television studio is ready to broadcast! Pray the Rosary with Denis and Cathy. I would like to offer thanksgiving to God Almighty and Our Blessed Mother, Mary for answered prayers. On April 12, 2019, I posted a prayer request on behalf of my daughter for a new job. Today, April 17, 2019, she got a job offer with great benefits. She is very happy and we are grateful to all who prayed for her. Thank you Jesus!!! Father Shamus suffered for a long time with a family illness which caused paralyses and blindness. But he suffered a short illness with cancer and asked us to pray the Divine Mercy Chaplet for dying soul. The night he passed I received a random e-mail from Saint Faustina Divine Mercy to say the chaplet for souls which I did and I also sent the e-mail to a friend with an update to pray for Father Shamus- Father passed that evening and I believe He ran into Jesus arms. This is not really a testimony but more of a thank you to Our Lady and to MaryTV. MaryTV is such a great source of grace to me. I go there often to hear and pray the rosary with Denis and Cathy and also to see and hear the Fruits of Medjugorje. I have never been to Medjugorje but through MaryTV I feel like I have been there and can be present there. Thank you Blessed Mother and thank you Denis and Cathy. May God Bless you two. Thank you, again, for Mary TV. I pray for everyone who makes this possible. This morning, praying with Denis and Cathy and listening to the testimony by Regina at the suggestion of Denis was like a small Lenten retreat. How easy it is to take faith and the presence of Our Lady for granted at times. Do not follow our Lady day after day with constancy and prudence. This is why Mary TV exists. To keep safe the graces she gives in Medjugorje, to keep us under her Mantle. The distractions of each day, big and small, and the temptations each day, big and small, can wear our resolve down to keep our focus on Our Mother and her message. But, day after day, Cathy and Denis are there, like us in the midst of their lives, praying. The resources, such as Fruit of Medjugorje, are there for our encouragement. Thank you, thank you, thank you!!! Today, 18 March, it is also my Birthday, I am very happy God chose this date for me to be born, I pray and hope that I will be able to honor and be worthy of this choice of God, because He does nothing by chance; I also thank Him for one more year of Life here: if we are still alive this is because we still have something to do on Earth. Just a thank you to Denis and Cathy for the untold sacrifices they have made in their life together to enable us to have MaryTV. This website is such a blessing for so many of us. You are both in my prayers. Weeks ago, on January 31, 2019 . I put in prayer requests for Clarence ( next to Mary) and Mary (sitting in chair) my co workers Grandmapents. I'm asking for your prayers for my grandparents. At 99 and 97 years old, they are here now from Connecticut, camping for the winter. I just got word that my grandfather (Clarence) had to be hospitalized earlier today for a heart issue and internal bleeding. I would appreciate your prayers for him and my grandma (Mary) as they navigate the situation. They are two peas in a pod and have been married for 81 years so there's nothing that he's going through that isn't upsetting her just as much, or more. Clarence will be 100 years old next week and they are doing great! I had been feeling a lack of peace, just a little off. Instead of getting up to go to Mass on my days off, I had been sleeping in. I had excused it because I had gotten up during the night and thought, "I need my sleep." I also had let my morning prayer go for a few days due to busyness. I also have been reading St. Teresa of Avila's autobiography and felt convicted about my vanity, distractions, and compromises but justified them with thoughts like, "This was back then. I don't need to be THIS single-minded, THIS outspoken against the ways of our culture..." I lost more peace. I listened into Denis and Cathy's rosary (2/11) and wow! Denis was speaking right to me in the beginning. Be single-minded! DO NOT BECOME COMPLACENT!!! Be faithful in the present moment! Do not let the enemy separate you! Do not compare yourself to others! " I felt convicted and turned around in the same moment. The peace that passes all understanding started to flood my soul! Praying with Cathy and Denis brought me back to myself, my single mind, my single heart for Our Lady's intentions. Our Lady is such a faithful mother! I am so thankful for this ministry! A few years ago I met a remarkable man, Jose Camara, who has had 1260 statues of Our Lady hand-made and sent to churches and schools worldwide at his own expense. I'm an author, and Jose asked me to write a book about Fatima, which I did: "Fatima 2017". I have just released another book, "Lourdes 2019" which describes the events at Lourdes and the life of Bernadette, set in the context of world history. I pray that these books and Jose's statues will help draw souls to the love of Mary. I hope to return soon to Medjugorje, the experience of 2 years ago was already tremendous, without anything prepared, many favors and thanks of the Holy Mother arose. I am another person, both spiritually and personally. There lives very close to heaven, Every day I enter this page and I see the Gospa from the webcam, also in Redgospa and in others, ..But this website is very particular because it is seen live and days like today, which have to be hard, because of the cold and snow, people are still climbing, I went up in August with more than 38 degrees on the descent but it's the same! ! I'm about to bet that those who are now climbing are not cold. Thank you Queen of Peace for having changed my life, thanks to MaryTV for continuing there and blessings. Note: if you could put a little more zoom to see it closer would be appreciated, thank you very much. Our Blessed Mother insists that we forgive one another to be like Her Son. But, we all have that one person who has hurt us, that we resent, that we just don't like. A few months ago, whenever I prayed, the person came to my mind. She is not someone I see very often. So, after a bit, I began to begrudgingly add her to my prayer intentions for the rosaries and Masses I attended. I did not really expect anything to happen as a result. A few days before Christmas, I had to interact with her, and I was shocked at how much love I felt for her. So much so, I went to hug her. She looked as shocked as I felt. Then, few days later, she invited me into her home when I was dropping something off. I stayed ten minutes and it was easy. The result? I feel so much LIGHTER! Jesus and Mary are begging us to let them give us freedom and joy! Wow. What a beautiful testimony on Fruit of Medjugorje this week. Patrick your sharing was just incredible. Deeply touched. i am so grateful for having gone twice to MEDJUGORJE, my life has changed so much! my physical situation has only changed partially, but still. i am so humbled by how GREAT GOD IS!!! I AM ALSO GRATEFUL FOR ALL THE PEOPLE WHO HAVE ASSISTED ME IN ANY WAY BEFORE, DURING OR AFTER BOTH TRIPS. I AM SO GRATFUL FOR MARYTV.TV (MARY TV)!!! MIKE, I CAN NEVER SAY 'THANK YOU ENOUGH, SO, THANK YOU FOREVER INSTEAD, REWARD IN HEAVEN IS GREAT FOR YOU AND ALL ASSISTING,. GOD BLESS!!!. DENISE PS. I KNOW, AS WELL AS GOSPA KNOWS IT WAS NOT EASY ON ANYONE, CONCERNING BOTH TRIPS. PEACE OUT!!!! Hello my name is veronica and i wanted to share with you about my son. i came with my son to Medjugorje 19th May 2018, My son has a learning disability he cannot read and right and he is on the Autistic spectrum, David did not know the Rosary and because of his difficulty struggled to understand so i told him just to hold the rosary in his hand. We had the most amazing experience when we got home David know how to say the rosary by him self, i just wanted to share this with you, we will be coming again, Thank you Holy Mother its amazing. Thank you, Denis, Cathy and Mary TV Team for guiding us closer to Jesus through Mary and for helping us grow spiritually especially in this time of grace.I don't know what I would do without Mary TV. Bless you and all the shipmates! I was in Medjugorje for the first time in August 2018 and my visit coincided with the youth festival. What an amazing and life changing experience. Maybe let me begin by explaining how I ended up going to Merdjugjore. I did not know about Merdjugjore at all until I met a friend in September 2017 during a retreat in North Wales. She was the one who told me about Medjugorje. I wasn’t really interested then until June/July 2018 when I felt a strong inner urge to go - hence my trip in August 2018. In Merdjugorje I had a personal experience that has stuck with me. One day I told a Polish lady who was also staying at the same B&B about a dream I had several years ago and her interpretation related to when Jesus asked Peter three times if he loved him. I did not think much of it until when I went confession a few days later - the priest said for my penance I was asked ro read and reflect on John 21, which is about Jesus asking Peter three times if he loved him. I want to thank Our Blessed Mother for drawing me to Merdjugorje in her own time. I learnt a lot from fellow Catholics and have grown in my faith. I learnt that the holy rosary should be the rhythm of my life. Since returning from Merdjugorje I have been blessed with a new less stressful job, and an opportunity to develop new skills in other areas. Ave Maria, gratia plena!! request last week, he was out of 4.0 restraints and had become non-episodic for the past week. The next challenge is that he would take his medicine on his regular schedule instead of being episodic (irregular). The doctors want to try a new treatment for him which may be promising but he has to be on his regular schedule for the medicine. Prayers would help and thank you in advance for whoever is able to prayer for him.. In the last 7 years its been 3 times since I have tried to book my trip to Medjugorje. My health prevented me from coming as I suffer from severe mental illness in the last 13 years. I have had the desire to come to Medjugorje since I was 13 years old, I am now 43 years old so you can see how many prayers have been requested. I booked 7 years ago to go on a pilgrimage with my daughter but unfortunately I was hospitalised and was not allowed to leave the country. Then again beginning this year I was about to book a pilgrimage but this time, a family member told me not to go without my husband. So I then prayed even harder begging our Lady to intercede on my behalf to help me find a way to get to Medjugorje. 6 months ago I received gifts from Medjugorje a rosary bead and a large Miraculous medal. I left the medal for my husband to wear freely in order for our Lady to inspire my husband to come. Now finally with the help of our Lady, my husband and 2 youngest children will be flying to Medjugorje next may on my birthday May 22. It pays to persevere in prayer to Our Blessed Mother because you don't know when she will surprise you with these wonderful gifts. granted a miracle and saved Michael's life. He did however loose his foot to the bad infection but his life was saved and he learned that life is a gift even if you have to learn how to walk with a prosthetic. and his foot was saved. The doctors told him he was very close to loosing his leg. Steven is still healing but is on the mend. So with great thanks to Kathy, Dennis, Our Sweet Mother and Our Lord and Savior. What a beautiful 2018 Youth Festival ! I especially like watching the evening Mass. Our dedicated Shepherds, the angelic choir, excellent orchestra, the large crowd of the faithful and the excellent work by the MaryTV crew made this most memorable. Praise be Jesus and Mary ! What an amazing 2018 Youth Festival ! Our Shepherds, the angelic choir, wonderful orchestra, the huge crowd of faithful and the incredible work of the MaryTV crew made this the most memorable festival. I watched most evening Mass's and was overwhelmed with peace, joy and awe at such a Mass. What an amazing 2018 Youth Festival ! Our Shepherds, the angelic choir, wonderful orchestra, the huge crowd of faithful and the incredible work of the MaryTV crew made this the most memorable festival. I watched most evening Mass's and was overwhelmed with peace, joy and awe at such a Mass. Congratulations to all who made this miracle happen. Praise be Jesus and Mary forever. P.S. - Happy Birthday Mother Mary ! Thank God and thank you both for bringing us closer to God via live Mary tv. Deep in tears and struggles of life, I have prayed a lot for my husband and adult daughter (24) to be converted in their hearts, and me too. Years ago, I "studied" the story of the 6 six child visionaries of Medjugorje and others in Lourdes, Rwanda, Japan and Fatima. I watched in late July, my faith grew, thank God! I began praying the Rosary without a rosary, but the golden cross pendant on my neck, thank God. I learned to pray in love and peace without labour, I was raised Baptist so I just learned the scriptural basis for recognizing Mary our Mother as the Mother of Jesus filled with Holy Spirit, knowing that Her place in Heaven is one of amazing love, peace and power. I continued to pray without ceasing, even while doing chores. Within one week, much of our sins have been brought to surface, I asked God to burn out every sinful thing from us and out of our home and to restore our family in His love. Now, I still cried my eyes out, in repentance for much, touched by the love of Mary our Mother but it's good to know exactly what to pray about and I now know that Mary our Mother, prays for us and is near, she told us that Jesus Christ is also near and advocates for us in the courts of Heaven. I know that Mary our Mother cares deeply for families.I pray and ask for help, for prayer and guidance/advice, and for us to make the journey to Medjugoje. Pray for us, Cheyenne/daughter, Jimmy/husband. I pray for you both and that your work will continue to produce great results in the conversion of hearts and saving of souls. God bless and keep you always, Janice. Minęło 10 lat kiedy po raz pierwszy byłam w Medjugorje.To tu,przed 10 cioma laty zostałam uwolniona od ciężkiego grzechu-masturbacji.Od samego dzieciństwa tkwiłam w tym bagnie,które wraz z wiekiem było coraz większe.To Maryja uprosiła m iłaske uwolnienia.To w Medjugorje odbyłam pierwszą spowiedź życia.Nie potrafie wyrazić tych wszystkich łask i dziwnych zdarzeń które towarzyszyły mi podczas każdej pielgrzymki do tego świętego miejsca.Byłam 4 razy,lecz myślami jestem tam każdego prawie dnia.Tęsknię do Medjugorje,To dzięki temu miejscu,dzieki Maryi która nie opuszcza nas zrozumiałam prawdziwą wiarę i miłość Jezusa i Maryi.Wszyscy którzy mają możliwość powinni pojechać do tego cudownego miejsca na spotkanie z Maryją.Chociaż jej nie zobacza fizycznie to Ona i tak jest z nami wszystkimi w tym cudownym miejscu.Kocham Cie Maryjo.Mateńko proszę zaproś do siebie nasze dzieci .Nie opuszczaj ich Mateńko.Uproś łaske wolności dla zięcia i głęboką wiarę dla moich bliskich i naprawienie wszelkiego zła w ich życiu.Pozdrawiam Ciebie Matko.AVE MARYA-niech śpiewa cały świat. This isn't a testimony, rather a "thank you" to Denis and Cathy for all that they do. I am confident that I am not the only one who is grateful to the both of you for your tireless dedication. There have been too many times in the past few years where I had no one to turn to and nowhere to turn. During those times, I always found something here that helped me to pick myself back up and carry on. God bless the both of you, and may Our Blessed Mother bestow on you many special blessings and graces. Praised be to Jesus Christ! Last 2 years ago,I prayed to Mama Mary's intercession for the healing of my friend Reynaldo.He is now healthy & cured of his kidney ailments.Thank you my dear mother. just now, but for a long time. Dear Blessed Mother, thank you for your intercession on behalf of my son for employment. He attended the interview and was hired on the spot for the job he so much wanted. All this after 3 years of unemployment and almost 3 years of underemployment. Thank you, Holy Mother, for your charity and love for us. after medjugorje I have been blessed- I got a buskers licence and have earned some revenue ,my band is free to perform and the contracts and ministry will arrive in this season. I was diagnosed erroneously with schizophrenia and am blessed to be only suffering post traumatic. my wife is well and fit and I am working 24 hours a day hopefully this will continue as I work for the vineyards glory. Jennifer, the parish has installed lights on the Cross and they light them up periodically. It is not a miracle, but it is beautiful! Thank you Blessed Mother for so many blessings!! I was able to become a monthly donor to Mary TV. $25 is enough. I am so happy that I can claim in my heart that I... AM A SHIPMATE. THANK YOU! IN April 2017 I was in Medjugorje. Staying at Domas Damar near the Risen Christ. I got up pre dawn one morning to attend the over night adoration and I thought that I would stop by the Risen Christ statue on my way to the Church. While I was there alone looking at the statue in the dark it began to weep very profusely. The water poured from the head and hands and side of the corpus!! It was a dry evening but it was unexplainable that it was pouring all over the concrete. I thought that it was amazing but I was on my way to adoration and I didn't want to be too sidelined as it was not anything as wonderful as the Host that I was on my way to see..
First and foremost, I wish to tell my story to honor of Our Lady Queen of Peace and Her Precious Son Jesus. My visit to Medjugorje began this year, June 19th through the 28th. I don't recall what day that I experienced my short and vivid vision, but it was during a rainy wet evening on top of Apparition hill near where Our Lady's appearance to Ivan's prayer group that I had experienced while I had my eyes closed and was in prayer. I suddenly had a vivid vision of Our Lord's crucified body in gold, nailed to a golden cross and behind the cross was brilliant streams of light radiating out from behind the cross. I suddenly open my eyes because I wasn't sure what was happening and then closed them and watched as this image slowly faded away. I'm not sure what meaning it had meant for me as I continue to be puzzled by the significance of my experience. After Our Lady's apparition was completed, I proceeded to descend down the hill when I suddenly slipped and fell to the ground. I asked Our Lady if she would be so kind as to take my right hand and help me down the hill and asked my Guardian Angel to take hold of my left hand. I stood up and after ten feet, I slipped and fell again. This time it struck fear into me because I was still at the top of the hill and thought I will never get down safely. When suddenly a young lady from Czechoslovakia (Jana) took me by the right arm and hand and a young man from Bucharest (Paul) took me by the left arm and hand and stood me upright from the rocks and mud. May God Bless them both as they helped me down the entire hill safely. I know I would fell several times and perhaps injured myself. So was this Our Lady's help and answer for me when I asked for her hand? I truly believe she was there and in control of the entire situation with the help of Jana and Paul they got me down safely from the slippery rocks and mud. I'll always remember this experience and always remember Jana and Paul in my prayers. I was in Medjugorje for the first time in May 2018. Our parish priest/spiritual guide said to us...People come to Medjugorje looking to find God, and they find themselves. I thought I understood what that meant, but in the early hours of this morning, I realized that statement in a totally different way. It made me decide to know, without compromise or hesitation, what I believe in the depths of my soul, and be willing to profess it no matter the consequence, especially since there are only two choices. Our Lord's Victory and Promise to us supersedes everything of this world. Better to know our answer before the test. On my last trip to Medjugorje in 1993 I was blessed to smell Mary's roses after singing my Medjugorje song! Thank you Jesus and Mary for the many blessings you have bestowed on us! Today, when I went to pray for each prayer request, I could see how families are being attacked, the countless attempts to destroy the human being and the families, financially, by separation, addictions, drugs, all evil fighting against the Family, so much suffering! Let's pray a LOT, ask God to protect, help, give strength and courage and show all His Way. Congratulations, Cathy, Denis & Family, I am just looking at your beautiful baby girl! I will also be a grandma again (I already have four grandchildren), twice: next September and next December, maybe in Christmas! It is a huge God's Blessing, let's pray for all the babies, parents and families, and be grateful! Some people want to kill them, so deeply sad, but other are so generous! A new challenge: tomorrow the decriminalization of euthanasia will be voted in the Portuguese Parliament. In Fatima Our Lady told that the dogma of Faith will be never lost in Portugal, so let's pray again for Life, let's go on praying for the conversion of people, as She is always asking us in Medjugorje. I want to thank Cathy and Denis for their presence and courage, in spite of everything, during these beautiful but also very hard last days. I am praying for your Family and special intentions. We also must keep praying for conversion, because even God can not interfere in men decisions as He respects human free will. None of the prayers for Ireland was lost! A lot of other countries already have had the same results, because evil and darkness are now dominating the Human hearts and mind. We have tot pray, pray, pray, just like Our Mother asked us to do again this same day. THANKS! Today a young colleague was telling me: "Another problem here is that people have not Faith. In school the teachers teach us, since we are very young children, not to believe in God, they teach that God, Faith, prayers are superstitions." I was surprised for her consciousness of this big problem here: try to keep people far away from God! But also because I did not know they officially teach not to believe, not to pray, since they are little children, since 3 years old! During my last pilgrimage to Medjugorje, my sister, Phyllis, and I prayed for my sister's friend, Henry Hill who has cancer and has never been baptized. He was brought up in a family with no faith even though some of his children are Baptist. The prayers and interceding to Our Lady never ceased and last week, Henry Hill was baptized by a Catholic priest. He is now ready to meet the Lord with the soul of a baby. Dear brothers and sisters in christ, my husband lost job since 2months and i have submitted prayer request here. By Gods grace and with your prayer support God blessed us with a good job. Thank god and thanking each one of you. If everyone who asks for prayer could go to prayer requests everyday and pray for herself/himself and the others in the same page, there would be about 20 people praying everyday for each other, PRAYING TOGETHER, like a FAMILY. I am very happy because in May 13 celebration of Apparitions, in Fatima, Portugal, they were officially praying for catholic Chinese all over the world, the Emeritus Bishop of Hong Kong celebrated the Mass, he is a Chinese who lived in Hong Kong and studied in seminar in Macau, long time ago. When I can I like to hear the testimony of Fruits of Medjugorje, also Father Leon Pereira. When I go to Prayer Requests, almost everyday, and I read one by one, pray for one by one on the first page, I can feel like the person who wrote each prayer feels, because some situations I also went through, other situations people I know went through. Sometimes it is so hard! But when we pray together, we feel close to that person which is our brother or sister in God, we feel close to him/her. I also think that that person also feels better when he/she knows other people are also praying for him/her, like a real Family. So, PLEASE LET'S PRAY FOR THESE PRAYER REQUESTS EVERYDAY, let people know we are also praying for them, that they can count on us, no matter we do not know each other, let´s be a real Internet Prayer Group, thanks! Now everyday I go to see the Prayer Requests and I pray for all the requests on first page: I read one by one, after I read each one I pray : "Jesus, help her/him/them", and I click on "I prayed for you", and so on, till the last one of the first page, at least, because I think this is so, so important, so people can know there is someone with them, praying for them. We are a Family, God´s Family, so let´s pray everyday for each other, to be in the Communion of Saints. It is also so good for the one is praying for others, being close during their difficult moments. Thanks, Mary TV, for this opportunity of Family communion! Thank you to Our Lady, Her Son Jesus and St Joseph for answers to prayers. Our son in law was going through a hard time regarding his mental health with reference to his job. Today we learned he is to be reinstated as a nurse which is his true vocation. Thank you to all who prayed for us. A Mass of thanksgiving will be said. Divine Mercy was celebrated at my parish for the first time today. I had many Divine Mercy resources for parishioners in the vestibule which included blessed medals From Medjugorje. A lady came up to me and told me that I had given her a medal from Medjugorje a couple of years ag after one of my pilgrimages. She gave the medal to a neighbor who was an alcoholic. That neighbor has now been sober for one and a half years. Many blessed medals were taken today as well as Divine Mercy prayer cards and Divine Mercy 8” by 10 “ pictures of the Divine Mercy Jesus as well as Divine Mercy rosaries. Many people came to celebrate the Divine Mercy devotion. The grace was flowing! This is a praise report on how the Our Lady at the Most Holy Trinity’s bidding knits her children together. I immigrated to the US in April 1997. 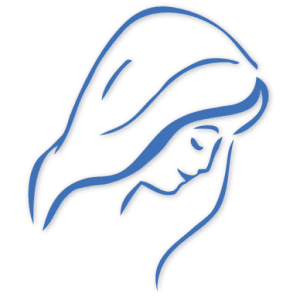 Within a few weeks after arriving as I was browsing the internet I “stumbled upon” [God incidence actually] the Medjugorje website the Nolans were maintaining at that time, with messages and the history of Our Lady’s apparitions. Right away my whole being said “This is true”. Our Lady wasted no time with me! I bought VHS tapes and audio tapes from them [which they were producing on site in Medjugorje along with a religious sister]. The Nolans kept holding up high the light of Medjugorje all these years never wavering from the mission entrusted to them even in the midst of privations and persecutions. Our Lord and Our Lady have blessed them with the right people to help them carry the mission forward. Medjugorje reveals us our individual missions. Staying focused on the mission became important to me. The message from Our Lady [see below] is both humbling and a great grace. :Dear children! Behold, also today I want to call you to start living a new life as of today. Dear children, I want you to comprehend that God has chosen each one of you, in order to use you in His great plan for the salvation of mankind. You are not able to comprehend how great your role is in God's design. Therefore, dear children, pray so that in prayer you may be able to comprehend what God's plan is in your regard. I am with you in order that you may be able to bring it about in all its fullness. Thank you for having responded to my call. ” [January 25,1987] . Thank you Denis, Cathy and Mike for your “yes” to the Lord. May Our Lord and Our Lady bless you and your family in this life and in the next. This testimony is in thanksgiving to the Most Holy Trinity and Our Lady for choosing us. The flowers in your home, near the image of Mary, today, the Divine Mercy Saturday, are so beautiful! Thanks for remembering about the Novena, this so important Holiday! We also remember Saint Pope John Paul II, Thanks! Sometimes it is very hard to stay in a place where we can't go to Church, can't go to mass, to confession, to Holy communion, because the very rare churches belong to the government, not to the Church, they are not under the Pope and Vatican rules. Thanks God we have internet, we have Mary TV, Perpetual Adoration, Fatima, Vatican, Lourdes, Medjugorje Live, otherwise it would be impossible to stay here for such a long time. But after three years it begins to be very hard to stay, even though going to our countries during Summer holidays. I would like so much if we could go to Blue Cross Live, anytime, through internet. It is so peaceful, I am praying for that, so everyone in the World can get there, so so important to go and pray there, to be there during Apparitions! Please pray for me too, I need it very much, thanks! I am so grateful to have been blessed by being able to visit Medjugorje and experience the love and miracles there. One day I stated that I did not need a miracle, but quietly asked Our Lady and Jesus to consider the healing petitions of others with me. I saw a beautiful white cross in the sky. The sun began to spin and pulsate with many colors. The clouds turned gold and then became rainbow colors with two angels kneeling praying in clouds. Awestruck, I was not fearful but so filled with joy and peace. Thank you Blessed Mother. Thank you Jesus.If you read this please send my thanks with your prayers also. I just returned from Medjugorje. This is the second time traveling to this special place. I can only share what is in my heart. Medjugorje is a blessed place where peace can be found if one is open to the message of our Holy Mother. I felt the protection and the Love of our Blessed Mother. I have no words to explain such a mysterious and yet simple and pure love. I am grateful. When I left Medjugorje, I felt I was leaving home. For many, this may sound strange, but this is how I felt. My heart only hope to return and once again relive a piece of heaven on earth. filomena Russo Nakasone	são Paulo...Brasil. You are blessed among all women as the mother of Jesus. I wish to thank you for granting my intention from the Novena prayer to You. I am so grateful. I have confidence that the second part of my request will be answered as well. I believe in Your Son and your place as my mother in heaven. Thank my Mother. I will share this good news and hope to all who believe in your powers and love for us. 25 yrs ago my conversion began through the Blessed Mother, I read Wayne Weibles books and believed; Ive had rosaries change gold, and experiences of Mother, though I have not been to Medjugorje physically, I have spiritually. I am so gratelul. A miracle occurred last year when our Pregnancy Help Center in Tempe moved across the street from a Planned Parenthood. Women started pouring into our Pregnancy Help Center until finally, after only two months, the Planned Parenthood had to relocate. That didn't stop the prayer warriors from doing their prayer vigils outside the new Planned Parenthood location. Their fervent prayer vigils gave the Pregnancy Help Center the power to take on Planned Parenthood once more by opening up a satellite office right next door to Planned Parenthood. Our beloved Bishop Thomas Olmstead blessed our Pregnancy Help Center on opening day, January 16. We are confident that with the help of our Blessed Mother Mary, Planned Parenthood will be forced to close its doors for good. This is the year of victories for the United States of America. Our President Donald Trump was the first President to directly address the March for Life. Also, on January 22, 2018, our president proclaimed that day as National Sanctity of Human Life Day. In addition, he is clearing the way for States to De-Fund Planned Parenthood while we witness the resigning of Cecil Richards, head of Planned Parenthood. The US House passed The Born-Alive Abortion Survivors Protection Act and the Senate confirmed Pro-Life Alex Azar as the newest HHS secretary. The Senate approved Trump nominee Pro-Life Gov. Sam Brownback as Religious Freedom Ambassador. The Trump Administration created the Conscience and Religious Freedom Division of Health and Human Services to protect religious freedoms of medical professionals. This coming Monday, the Senate will vote on the Pain Capable Unborn Child Protection Act. All this in just 25 days. These are the days to be joyful and praise God for the triumph of the Immaculate Heart of Mary. I have attempted several times to submit my testimony(s) but I.have had issues with my technology. I could not let this new year start without persevering to express my love and thanks to Our Blessed Mother and Mary TV for blessing my life so profoundly. I am a middle aged woman, my husband died 3 yrs.ago. We had no children. He (we) loved the Blessed Mother.He had a congenital brain tumor not detected until age 36. He died, was anointed and came back. Over the next 27 yrs. He almost died 20 times.! I took care of him at home the majority of those yrs. He was 24/7 care (could not leave him alone). I buried him on the Feast of Our Lady of Fatima.. My mother just had her 1 yr anniversary of entering Paradise a few days ago . She had Alzheimers and also had a great love of Mary. She loved listening to Mary Tv. As her disease progressed she was very tired, but rallied when she heard the Ave and pick her head up and start singing. (Thanks Dennis!) I am handicapped and homebound most of the time ( so far, I do believe in miracles). I have witnessed many. I was alone on Christmas. Prayed to Our Lady about the grief, pain etc. A priest was suppose to come 6 wks earlier to visit and have sacraments. However he called and said I could come Christmas if that's OK!!. It was such a beautiful visit. I made soup and we were both blessed. I knew our Blessed mother was responsible from the fruit of the visit. Thank you Mary TV. We will keep on sailing until we reach the shore of Heaven. This weekend at Our Lady of Perpetual Help Church, every parishioner was invited to choose a Saint from Marytv’s Saint list. Members of our new Spiritual Life Commission were at each of the four entrances with a basket filled with saint cards. Everyone was so excited to draw a saint and to share their Saint with those around them. This is the first year that our parish has done this. What a blessing it was! Today a little miracle occurred with my Saint for 2018 choosing me. During this week, I was focused on listening to God. I heard the words, "you, be tender". Since the tenderness of St. Joseph became apparent in so many images everywhere, I became enthralled with his tenderness with Mary and then, Jesus. Last night when praying I heard, "be tender in your words, your heart and your touch". very clearly . I immediately counted through the saints until I reached that number. St. Katharine of Drexel chose me, and I began shaking as I read her message. It is about being tender. Denis, Cathy, Rosie and all of MaryTV Team, Thank you for your work bringing our Lady's messages, awareness of her presence among us and keeping our focus on her Son! I can’t tell you how much I appreciate your dedication! Praying the Rosary and listening to Fruits of Medjugorje strengthens faith and brings peace to me and people all over the world! May God bless you this Christmas. Happy New Year! I am most thankful for this community. I unite my prayers with your prayers. The Holy Spirit ministers to my life, heart, and soul daily through Cathy’s writings. Everything in our lives can become the ordained will of God when we just surrender “thy will be done.” And, praying with this community of Our Lady gives me the strength and courage to surrender. Unconditional love and not perfection is what we give witness to in this heartbroken world. With much gratitude, prayer, and trust in what Mary, our Mom, is able to do through MaryTV!!! Thank you Mother Mary and to all who prayed for my son He is recovering well in rehab and was home for Christmas. He has turned back to God and asked me to take him to Midnight Mass. Praise Jesus! Please continue praying.Thank you. I am working in PRC and today morning, December 2nd, I prayed with you, you still December 1st. I felt very joyful when Cathy said this month you/we will be praying for all those who do not know God, Jesus, the Holy Mother, THANK YOU SO MUCH! I ask everyone to pray in a special way for the population of this huge country to know God and put Him FIRST PLACE in their LIVES! It is so so urgent, thank you for praying for this intention and also for this country. I will be praying with you everyday till Christmas, thank you so much for the presence of Mary TV, it makes a huge difference here, God bless you! After we prayed for our son Thomas to come home to Jesus and us. We heard from Thomas, Praise Jesus !!! and everything else will fall into place. On my first trip to Medjugorje in 1989 I saw the bottom part of Kriezevac disappear and I saw the Blessed Mother's three clouds appear for a few seconds!! This event occurred at apparition time!! Medugorje is a special place where we as Catholics are drawn closer to God, the Blessed Mother, St.Joseph, and the saints!!! On my 3rd visit to Medjugorje June 22, went to the rising Christ garden, able to touch the oil oozing from the knee of Rising Jesus. I wiped it brought it home in a white handkerchief. I truly believe that is from Jesus himself. How can a metal ooze out oil? when no way you can see an opening whether it was put in or not. Thank you Jesus, thank you my Mother Mary for inviting me to be a witness to the mystery of salvation began many years and being gradually fulfilled during my presence. Thank you again God. Looking forward to join you in prayer at Medjugorje soon. Hi I came across Marytv by "God incidence" some 5 years ago and I am so Grateful to Denis and Cathy Tom Matt Rosie and amazing Beautiful team. I truly want as many people as poss to know about Marytv. Denis has a template of Marytv business cards I had some printed in England and am doing my best to distribute these wherever possible in England and Europe and would encourage whoever else out there to do this to spread the Beautiful light of Medjugorje to the world like Archbishop Hoser asked us to do. Marytv is A Beautiful gift to us and I just feel those shipmates who can help to get this Good news out need to do so❤ . Denis I hope its ok for me to write this, you and Cathy are So Incredibly Kind to us viewers giving your Love and Time to us I cant Thankyou enough. We all need to try and do our bit to help in return. Love Rita, Skelmersdale, England. I want to thank all who were praying for Patty to find a job. She was offered a job two weeks after coming home from our pilgrimage with Mike. She is realizing that when you “ give it to our Lady” Our Lady takes care of it. Praise God and the fruits of Medjugorje. Thank you Dennis and Cathy for Mary TV. Before you started the Rosary at 10:29 am EDT-Monday Oct. 23 the sun started to pulsate in Medjugorje! I saw this event on the internet! Dennis and Cathy, I hoped you saw this miracle!! God gave us a taste of his awesome love for us!! Thank you Blessed Mother! On Sunday, October 15th, my Mum called me to say she was on her afternoon walk and was witnessing the miracle of the Sun. Not the first time this has happened to her outside of Medjugorje! I felt drawn to go and look at the Sun myself. Unbelievably, I witnessed it too. I just wanted to look at it forever. It was pulsating and radiating a beautiful pink. I called my daughter and her cousin outside and they also witnessed it. I believe it was a special gift from Our Lady as the day before we had participated in a public rosary procession in our local area for the 100th Anniversary of Fatima. This occurred on SUNday! I still cannot believe this precious gift from heaven as a thank you. I feel so unworthy but very blessed and joyful. God bless Marytv. We love your work. I can bear witness to a miracle through the intercession of our heavenly Mother to whom I prayed fervently while in Medjugorje, for my eighteen year-old niece who recently went to live with her boyfriend, very much against our Catholic believes and who caused a lot of heartbreak for my sister and her husband. This week my sister informed me that since I had gone to Medjugorje, her daughter had been auguring a lot with her boyfriend, and today I received a message that her daughter slept at their home. Although it is early to know what she will be doing, I feel very grateful to my heavenly Mother to whom I pray every day for her intercession and to watch over all the family as it was not something that I saw possible so soon. Our Mother truly is a loving Mother who wishes us well. I humbly ask you readers to remember her in your prayers and for all youths and families who are under Satan's attack. Thank you Denis for MaryTV!! When I watch the Mass I think about the 3 times in Medjugorje--1989, 1990, and 1993! Mary touched me in a literal and spiritual sense!! Medjugorje is a place for healing and I received healing of my mother's colon cancer death in 1988!! I am #kyjoe to UK Fans in KY but I am a really a pilgrim on a journey from this world to our heavenly home!! Thank you Blessed Mother!! Thanks to our Lady for the favour received for my son, he was made to repeat year 12, but after prayer request the school agreed and put our son into year 13 . Thank you to all the people who prayed for him. God bless. Mary TV! Thank you so much for streaming the Mass and Adoration of the Blessed Sacrament. One can be with Jesus and Mary and feel the Peace that is in Medjugorje. I receive so much whenever I come to this site. Jesus always lifts me up!! Again, thank you! I put a prayer request in,(yesterday 9/15), for my sister who was so stressed and so worried about getting a ticket when she has no lisence after getting a DUI. She has a drinking problem too. She woke up this morning after her stomach in knots all week and felt like a weight had been lifted from her shoulder. She says she never will drink again and feels really good ! This is not her first DUI and she was saying she didn't think she could handle it if she had to go to jail again. But our Blessed Mother heard our prayers and my sister has completely changed ! Thank you ! Thank you ! In June I took my sister, Phyllis, to Medjugorje. This was her first time In Medjugorje. She had just finished ten months of cancer treatment and was not in the best physical health for walking. On July 2, while everyone in our group walked to Apparition Hill, she stayed at the hotel. At 8:00 a.m. she thought that she could walk to the hill in time for Mirjana's apparition. When she got to the village, she thought that she could go no farther, so she returned to the hotel. She sat on the wall next to the house and saw the Miracle of the Sun. She also saw Jesus and Mary come from the sun and stand in front of her. Since returning home she continues to have visions of Jesus and Mary coming to her with many angels accompanying them. She is so grateful for going to Medjugorje and she witnesses her experience to every person she meets. So, if you have never been to Medjugorje, please go! Mary has a special spiritual gift for each person who comes to Medjugorje. First, I would like to thank all the people that contributed to this fabulous way to connect to Medjugorje and streaming Live to Apparition Hill, Blue Cross and Cross Mountain. I feel blessed to be able to virtually visit the most peaceful place I ever visited. I was there just a month ago for the 2017 Youth Festival. I brought my 12 years old with me. On August 2nd, I walked up the Hills praying and very concerned as my daughter decided to run away with the crow and at one point, I could not see her. I struggled to pray as I was very concerned for my daughter as she did not have her meds and water. ( It was really hot). I talked with our Holy Mother as any mother would talk with another mother and asked her to protect her. I also was far behind the group and could not get closer to the Blue Cross at the moment of the Apparition. I ended alone at Apparition Hill and exhausted as I have a heart condition and other diseases that prevent me from walking fast enough. As I was talking with our Holy Mother about my life and how much I love her, I felt the presence of many angels and truly felt that an army of Angels were surrounding the City of Medjugorje. I, then smelled for a brief instant, roses. I looked around me and thought that someone, perhaps, left a bouquet of roses somewhere in the area, but if you ever went to the Hill then you would know that there are no roses in the area. I was surrounded heavy stones and some small trees. I then touched the tree leaves and there was no smell coming from it. I then felt that our Holy Mother wanted me to know that although I was far from the group and could not be at the moment of her apparition, she was accompanying me. I felt her motherly love and I was able to contemplate the Blue Cross and image when most of the people were gone. I am so grateful for her blessings and I will be back as soon as I am able to save funds. Medjugorje is a place where my soul felt the peace that only our Lord Jesus and our Holy Mother can give. I feel the need to pray the rosary more than ever because I can see now, how difficult can be the awareness of this Life without God and the sadness of people that are so oblivious to our Mother's message. I received two more beautiful signs of our Lord's presence and our Mother's presence but I will share it when I feel prepare to do so. All I can say is that I have no words that can express how blessed and grateful I am for the Love I received in Medjugorje. On my return home from Medjugorje in May 2017, I was bereft and deeply longed to return to Medjugorje - I sorely missed the peace that I experienced in Medjugorje. Our Lady came to my rescue when I chanced to find MaryTV on the internet, streaming LIVE the familiar key events in Medjugorje! Since then, I am filled with joy and the presence of Our Lady right here in my home! And the start of the recent live streaming of The Blue Cross topped it all!! Cathy and Dennis - I enjoy praying the Daily Rosary with your reflections on the messages of Our Lady. I enjoy the authentic and funny moments during the Rosary - its like family! In a short time, the Holy Spirit has opened up my mind to understanding the reason for Our Lady's coming to us through your reflections. Miracles are happening within me, my family and friends! Thank you MaryTV crew - you are remembered daily in my prayers. Just wanted to take a quick opportunity to give thanks to Our Lady of Medjugore for the daily reflection A Moment With Mary on Mary TV. So often I am finding myself these days so overtaken by the happenings in my life on a daily basis that I just do not have the time to spend with Our Lady as I know I should, because of this A Moment With Mary is a Godsend for me. Know matter how busy my day gets I always have that special time with Our Lady and her messages. Her messages for me are truly a lifeline as I travel this path that I now find myself on. I look forward to each Moment each day that give me if but a quick opportunity to lay down my cross and surround myself with the love of my Mother Mary. Again, I am so thankful and am truly blessed by my daily Moment With Mary. God bless you all always!! Our Lady of Medjugore, Pray for us!! On August 22, 1988 Our Lady asked during her apparition on the hill that we form prayer groups with the youth. Our friends Susie and John decided to form a prayer group in response to this message. It has been 29 years and our prayer group still meets once a week to pray for Our Lady's intentions and for peace. We are grateful to God and Our Lady for this gift. I am so deeply grateful for the ability to post prayer requests... it's as though Our Lady is forming a little community of warriors, able to call on one another in our own battles. Instead of becoming depressed or discouraged as I have in the past, I go to view prayer requests and begin interceeding for the needs.... online shopping has all but stopped and praying has become my work. I am so deeply grateful and hope one day, I am able to visit the spiritual center of the world: to be anywhere She, His Mother is! I love Mary TV! It is encouraging to me and my family. I have two children, girls and their birthdates are the 2nd and the 25th. I think this is beautiful! I pointed out to them how special their birthday dates are! Thank you for your prayers for my Mother who is in hospice care at winsdor manor in Illinois. Recently i went to visit her for two weeks as my cousin was very concerened that she may be dying. But a miracle happened! She perked up durring my visit, started eating again and sitting in the wheel chair for part of the day and doing arm exercises and playing bingo with the other patients! And my cousin says she is still doing very well after my return to Norway, thanks to Our Mother Mary and the power of prayer! Praise be to God and to Mary for answering my prayers for my uncle! I submitted an initial prayer request for my uncle back in January 2017. His stage 4 cancer had come back and the tumors were spreading really quickly in his neck. The doctors weren't even sure that he could do chemo, but his only hope was to do chemo so the tumors shrank enough so they could operate and remove them. The prayers from the MaryTv family worked, and he received news that they could proceed with the chemo. The chemo was effective, and they were able to proceed with the surgery. Then, last week, it was time for the major 8 hour surgery of removing the tumors and reconstructing his jaw and throat. He had a high risk of losing the ability to speak. I submitted another prayer request to our group to pray that he would have a successful surgery. Well, Jesus and Mary heard our prayers and answered them!! His surgery ended up only being 4 hours, even though they did everything they planned to do, and today he got the results of the biopsy and all of the aggressive tumors are benign. It's truly a miracle! Praise and thanks be to God, and thank you to our prayer group for praying for my uncle!! God is good!! My uncle is having a good recovery and is feeling so elated about the news that he's "Closer to free" which is the slogan of being cancer free that his hospital uses!! Just a quick testimonial as to how very blessed I have been from the 36th Anniversary Novena to celebrate Our Lady's coming to Medjugore. Myself and my family have received many graces while going through this Novena with Cathy's A Moment With Mary and with the Parish climb of Apparition Hill. I must admit I now find that Our Lady's messages and the Rosary are a lifeline for me! I am so thankful for her coming! Thank you Mother and God bless all. Our Lady of Medjugore, Pray for us! After many years of getting to know my Blessed Mother, she beckoned me to come closer to her. I had made some wonderful friends through a retreat called Christ Renews His Parish (CRHP), and one of them asked me if I wanted to go to Medjugorje with her. I knew I couldn't afford it and so I was very sad to tell her "no". The person organizing the trip called me twice to tell me that when she prayed the rosary, my name kept coming to her mind. "Are you sure you can't come? Because I'm pretty sure you're supposed to go. Pray about it." she asked. A month later my mother-in-law died and left Jack and me some money. I had the traveling image of Our Lady of Guadalupe in my home at that time. I remember waking up very early the next morning after my mother-in-law passed away, realizing that now I could afford to go to Medjugorje! I went into the living room to pray the rosary in front of Our Lady. While I was on my knees, many thoughts rushed into my head. There I was, in front of the image of Our Blessed Mother, praying the rosary with my own mother's rosary, and realizing that my mother-in-law's final gift to me was a trip to see Our Lady of Medjugorje! Then it dawned on me that I would be in Medjugorje for Mother's Day!! I felt loved by all my mothers at once! I am so grateful for Our Lady's gift of MaryTV to the world. And, especially to me! Praying with you all gives me the grace to persevere with faith and hope and trust. You are a signpost in these treacherous times of the faithfulness of God's Presence. You are also an instruction manual of trust and joy in the Lord Jesus Christ. And, you are a cracked vessel of the Holy Spirit (smile) which allows the Spirit to embrace all of us AS WE ARE...but one that calls us to be better children of Gospa!!! You are my family and my Christian community! I am being healed through the daily prayer of anxiety and depression. I have not had a panic attack since praying with you all. Jesus, I trust in you, you do take care of everything. Thank you for being a beautiful instrument of Our Lady! Discovering MaryTV is an answer to prayer. During the semester, I am kept very busy with teaching and so cannot commit to a prayer group. I asked Gospa to help me find a prayer community that I could be a part of and over winter break, I came across Denis and Cathy praying the Rosary. Now I pray it with them most every day! We are family! I took my computer with me when I visited my mother so she could pray the rosary with us. She is a devout woman, dedicated to the Blessed Mother. She and her sister saw the "sign in the sky" of Fatima in their backyard when young. They were too young to realize what was happening but when they pointed out the "bird" in the sky with colors, my grandmother dropped to her knees and exclaimed, "That is the Holy Spirit." They got on their knees along side her. It was not until my mother was in college doing a research paper on the apparitions of Our Lady that she discovered the apparitions of Fatima. While she reading for her research paper, she realized that the "bird" in the sky she had seen was in fact the sign Our Lady promised that occurred just prior to World War II. My mother's faithfulness and intercession to Our Lady has saved my life. Her response to our problems and struggles has always been, "Bring it to Our Lady" or "Go sit in front of the Tabernacle. Talk to Jesus. He will take care of everything." Jesus and Mary have been the center of her life and the shelter for us, her children. She loved praying with Cathy and Denis. She has no doubt that Our Lady has been appearing in Medjugorje all these years. When I told her Pope Francis is not sure about Medjugorje, she just smiled and said, "Well, he has some things to learn yet." Thank you, Denis and Cathy, for your faithfulness and devotion to Our Lady and to us, your family. I have been suffering financially and emotionally for a very long time now. With my marriage brake up last year just pushed to the edge. I am now a single dad of two beautiful little girl's struggling to cope with my financial demise and emotional roller coaster. I had found great solace in Mary TV and was reading a testimony the other of a lady who had said the rosary with Mary TV for her husband to get his work contract renewal, and the very next day it was done. So, with faith I prayed with Mary TV and the very next day I was blessed with a Job offer like no other. My lord Jesus has not forsaken me but kept me waiting till I was ready. I have been joining in prayer sessions every day and my prayer to Our Lady has not gone unanswered. I was suffering from post partum depression after the delivery of my first baby. I was working as a Computer Engineer in a big financial firm. Once my maternity leave was over, I had to get back to work and that's when ppd kicked off. I thought of resigning and even the Dr recommended it. But some inner voice kept me to keep on working. During that times, in office I wont be able to focus and all these bad thoughts would creep in. At times, I was thinking of committing suicide. That's when I heard about Medjugorye and Mary TV after researching online. Everyday at office I would open up Mary Tv website and listen to either one of the apparitions or the online Rosary. Then I will get the strength back and I would be able to focus on and finish my work. I did 2 projects like this while I had ppd and for both projects, I would do the work while listening to Mary tv. Believe it or not, that was the most successful projects the company had and I got awards and accolades for both of them. I still could not believe how I have completed those projects. But with the courage and strength and motivation I got from listening to Mary Tv, I was able to successfully finish 2 complex project while I was suffering with post partum depression. Thank you Mary Tv for all the work you have been doing and thank you so much for broadcasting all the apparitions and prayers. This is a true blessing. This morning I went shopping at an outlet mall and was buying some things at a women's clothing store. I told the clerk that I was getting some clothes that would wash nicely for my trip to Medjugorje in Bosnia Hercegovina, which she had never heard. I told her about being in Medjugorje seven times and that the Blessed Mother is appearing there. She asked me if I would pray for her daughter, Hannah, who has sever mental problems. I had some blessed medals from Medjugorje that I agave the lady, Leslie, one for her and one for her daughter. She gave me a hug and started crying telling me that there was a glow about me that she had never experienced before. I told her that I would pray for her and her daughter and I gave her the Marytv.tv web site so that she can experience Medjugorje for herself. Hello Cathy, I'm Testimonial of medjugorje was when I was down at the risen Jesus's I'd not long arrived in medjugorje it was in the afternoon and after my dinner our group went done and I seen the sun spinning and it didn't hurt my eyes it was so beautiful, the peace I can not explain it is not of this world so so amazing I live medjugorje and hoping to be going back this September our blessed mother is truly there in medjugorje thank you god bless from Helen, Ireland. I prayed one Rosary with Our Lady with MaryTV and the Our Lady Queen of Peace joined us in the boat and the Truth of God in our hearts and Jesus is bringing us together to love one another and not to fight. My husband and I can at times although we have a silent miracle and witness together in our home quietly or sometimes noise does happen. We try to be silent and listen to the spirit and God is granting us grace today great miracles and hope in my family today. Hope to soon travel on pilgrimage to Medjugorje. God willing. Thanks Denis and Cathy Nolan. God bless you and the MaryTV station. Thank you Denis and Cathy for all the work you do with MaryTV. God works in mysterious ways. Very seldom is it that I read the testimonies on your page. However a couple of weeks ago I happened to focus on a particular testimony and after reading it through it was such a surprise to see Fr Sean Kelly's signature. This was so amazing as two years ago when we (from New Zealand) joined up with a pilgrim tour from Dublin, Fr Sean was one of the leaders of the group and his support and encouragement was something to be remembered. For some time I have prayed for strength to overcome my in built fears and lack of confidence so as to be able to partake in liturgical roles and speak to a group larger than two or three. Without such fears and inhibitions I could share with others some of the small and not so small miracles I have experienced throughout my life. When I read that Fr Sean had also expressed such fears which once prevented him from totally giving I fell compelled to contact him and ask for his prayers for my intentions. Thank you and God Bless You Fr Sean, Denis and Cathy. And thank you Jesus for the love you bring to our world when we 'seek, ask and knock'. My friend had a total mastectomy to her left breast on March 8th, 2017 after being diagnosed with cancer. She had 2 sisters who died because of cancer - origin was also from the breast. My friend said that she has survived what her sisters didn't. My friend is at the same age as of when her sisters died. Overall, she is doing well. She was suppose to have chemo but the results came back with the good news that this treatment is not needed - praise God! There is a possibility for a mastectomy to her other breast, but we will see...miracles do happen. Thank you for helping her in a time of need, for her physical and mental health...please continue to protect her...I love her and I want the best for her. We celebrated her 60th birthday on April 24th...this celebration had a whole new meaning. God works in wonderful ways. One day when I was dropping my children off at their primary school, I happened to meet a man named Jose Camara who was visiting his daughter and grandchildren from Portugal. he visited London for a week or two each year and we became friends. God works in wonderful ways. One day when I was dropping my children off at their primary school, I happened to meet a man named Jose Camara who was visiting his daughter and grandchildren from Portugal. he visited London for a week or two each year and we became friends. It turned out that he had been donating statues of Our Lady of Fatima for many years. When he discovered that I was an author, he asked me to write a book about Fatima, which I did - Fatima 2017. Jose has donated over a thousand statues worldwide and I'm trying to raise awareness of Our Lady's message through my book. I have returned to the Catholic Church after a complete absence of 43 Years, by the daily Rosary, and the Blessed Virgin Mary. Without your daily Rosary I would not have made it this far. I asked the Blessed Virgin Mary:s intervention, when my sister was diagnosed with three separate cancers and told she had 12 month to live. Now my sister is completely cured, her Drs were amazed at her cure. Thanks Mary TV, Denis and Cathy and especially Our Lady of Peace Medjugorje. As a child I was introduced to Christ not just in the formal way of prayer but also by the living faith of my parents as witnessed in their everyday lives. My earliest childhood memories are probably similar to those of most children raised in the 60s in an Irish Catholic family. The family rosary was an integral part of the evening ritual immediately after tea. Chairs drawn to centre of floor, everyone kneeling down, and beads in hands, the rosary was recited. It was said every day without fail, complete with all the trimmings and with the image of ‘The Sacred Heart’ watching over proceedings, red lamp aglow from its prominent position over the open fireplace. The love of Christ was very much alive and present in our home in the way our parents loved us and instilled in us the values of Christ’s sense of compassion, forgiveness, honesty, and respect. successes in my life. It is of course when I reflect on the various milestones in my life that I can appreciate just how active God’s Spirit was at work in my life’s journey. I remember learning in Secondary school that a vocation is ‘a manifestation of the will of God’. What we weren’t told was how long it would take for Gods will to actual manifest itself! I suppose when I look back on my teenage years I always had an interest in the religious life. This interest would never be consistent however; it was either very strong or almost non-existent. It depended on events and people that always put my focus back on the priesthood. In retrospect I suppose I was very naive in that I was half expecting God to give me a call, if not in a clap of thunder, the least he could afford me was a gentle whisper. Well he did call but not in the way I expected. of events happened that made the call very loud and clear. In 1994 a group of people from Belfast were undertaking a peace walk from Armagh to Knock in Co Mayo over a period of five days. On their second day they walked 36 miles from Clones in Co. Monaghan to Ballinamore (my home town) where they had Mass in the Church and stayed with local people that night. The Mass was celebrated in a way I had never experienced before. The music, singing and praying was such that the sheer sense of joy was so tangible, one could almost touch it. The Spirit was vey present and active in the Church and in the people that night. I gave one of the walker’s accommodation in my house that night and had a long conversation with him about life in Northern Ireland and what it meant to actually live in the midst of the troubles. I discovered that all the walkers had one thing in common. They were all members of the Cursillo movement. The Cursillo Movement was founded in Majorca in 1946 by a man named Eduardo Bonnin who died in January of this year. Cursillo de Christiad, which means ‘a short course in Christianity defines itself as a movement of apostolic action. Its objective is to create Christian groups that work together to become catalysts for community evangelization. The Cursillo movement believes that it is the testimony of these groups and of the cusillistas i.e. those who partake in Cursillo weekends themselves, which will Christianise communities. As a result of my conversation I was invited to partake in a Cursillo weekend. I participated in the weekend in Belfast the following September and have worked on numerous Cursillo weekends since then to the present in Belfast, Derry, and Dublin. The structure of the Cursillo is that it runs from a Thursday evening to Sunday Afternoon. A series of talks are given by laypeople on the basics of what it is to be a Catholic. The three days are said to be three encounters. Friday is encounter with oneself, Saturday is encounter with Christ and finally the Sunday is an encounter with the greater Christian community. The format is such that you come away from the weekend feeling that you have indeed felt the total self-giving love of Jesus in a very physical way. This very real encounter with Christ was the beginning of a new found confidence and self belief that maybe I could indeed have a vocation and have the ability to proceed in studying for the priesthood but I still wanted to ‘hear’ the call. Because I had made so many friends through being involved in Cursillo mostly from Belfast, I decided to have my 40th birthday celebrations comprising firstly a Mass followed by a party in west Belfast. This occurred in April of 2000 and it turned out to be a wonderful night with family and friends. At the end of the night I was presented with a present of a paid trip to Medjugorje in Bosnia where Our Lady was reportedly appearing to six visionaries since 1984. I went to Medjugorje in May 2001 with the full intentions of praying for guidance and discernment with regard to having a vocation and the ability to pursue it if indeed I had one. On the second day of my pilgrimage I went to the 10am Mass in English in the Church of St James in the small rural village in the valley between the hills. The main concelebrant was an Irish Priest from Cork but who was living and working in Fall River in the State of Massachusetts in America. Fr Edward A. Murphy spoke during his homily about his own vocation and how he had failed his exams in the seminary he was attending in America and was subsequently asked to leave. Feeling devastated he himself went on pilgrimage to Medjugorje to pray for guidance. He said that he felt a strong sense of being told by Our Lady to try again. On returning to the States he did apply and entered a different seminary and consequently achieved his degree in Theology and Philosophy without any great difficulty. The difference he said was that in the second seminary the rosary was recited every evening in addition to the Divine Office. Despite the fact that the congregation in St James’ Church was full to capacity on that specific day, I felt that there was no one else present and that Fr Murphy was talking directly to me. It was as if Christ Himself was speaking to me through this priest reassuring me in all my uncertainties and fears. I made a point of talking to Fr Murphy after the Mass and he too reassured me that once I made the decision to say yes to Gods call, I would lose whatever fears and doubts existed and would overcome any obstacles that I felt were stopping me in saying a profound ‘yes’. I went home from that pilgrimage feeling very secure in the knowledge that I had indeed heard the call very loud and clear. On returning home I contacted the vocations director of the Irish Capuchin Franciscans which set in motion a process of discernment and assessments which lasted over a period of twelve months. Having passed the various psychological and psychiatric assessments all that remained was an interview to gain admittance to All Hallows College to begin studies in theology and philosophy. On completion of that interview in the College’s coffee Dock, I was invited to have a tour of the rest of the college. As I looked around the coffee dock I noticed two men sitting at a table in the opposite corner of the room. On closer inspection I was shocked and surprised to see that one of the men seated was Fr Edward A. Murphy who had just one year previously given me the confidence to begin the course of action in which I was now engaged. Fr Murphy was there for the annual ‘Intercession for Priests’. This encounter was such a positive confirmation that Christ was directing the events in my life and that I had no need to fear the future. This was another Christ centred moment on my vocation journey. I joined the Capuchin Franciscans in 2002 as a postulant which was also my first year in All Hallows. This was a huge transition for me in many respects, moving to Dublin, living in community, and returning to education after almost 22 years. After a few shaky months I settled in to this new life mainly due to the friends and support I received in All Hallows and some very close friends and family at home. After that I had to take two years out from college as part of my novitiate and post novitiate programme to gain a better insight into living as a Capuchin Friar and explore various pastoral roles which for me was working for one year in Belfast. The highlight of that year 2005 was as a counsellor with the ‘Ulster Project’ bringing twelve teenagers, six Catholic and six Protestant to Ohio in America for the month of July. For someone reading or hearing my story for the first time it would be easy to say that all these events when I felt Christ very close were just coincidental. And were it not for my parents who were truly my first and best teachers in the ways of faith, I would probably have said the same. But having had a good grounding in a Catholic upbringing and finally having access to a good Spiritual Director with whom I felt comfortable and open, I was able to reflect and realise that these were in fact God incidents. These were indeed moments of grace when Christ was truly present in a very tangible and heartfelt way. I was fortunate not just in experiencing these occasions but in being able to explore them more deeply and definitely in conversation with a qualified and understanding spiritual director. As a result of having sessions in spiritual direction I can honestly say that I have been helped in my own restlessness. Along my life’s journey I have experienced many mixed emotions of joy and sorrow, fear and love, anger and peace, success and disappointment, and have often wondered where I was being led. Through the conversations and the silences with my spiritual director I have been able to explore and reflect where God was in all those events in my life I mentioned earlier. Now, it is not a question for me of is God present in my life but rather where is God leading me in this or that situation. The more one is open to see God in every life experience, the more one feels in contact with the divine that all- encompasses us. Today, I am working as Novice Director in our Kilkenny Friary as well as been Provincial Vicar for the Irish Province of the Capuchin Franciscans. A Priest is never a priest on his own. He is chosen from a family and a community. I have been blessed to have been chosen from a wonderful, encouraging and loving family and a very supportive community. I can honestly say I have never been happier and I want to say a sincere thank you to my family, and all my friends who have supported and encouraged so much me over the last seven years. I live in an apt. My common-wall neighbor is a disturbed young woman. This afternoon (5:15 pm Divine Mercy Sunday), irrational screaming broke out again (I had no idea if she was on the phone or fighting w/ her mother, who lives w/ her). I simply wanted peace in my own soul, without having to leave the apt I pay dearly for ... and ... I needed to say a Rosary today, anyway. AS SOON AS DENNIS STARTED TALKING, THINGS QUIETED - AND WHEN HE TALKED ABOUT MOTHER MARY CRUSHING THE HEAD OF SATAN, IT IS SO SILENT, YOU WOULD THINK THAT PLACE IS EMPTY! PRAISE GOD!!! IN MEDUGORJE ON 12/24/91 VIEWED FROM THE BACK OF ST. JAMES CHURCH ( OUTSIDE). I SAW THE A FIGURE DRESSED IN GOLD JEWELS ON CROSS MOUNTAIN. IT GLOWED AND SPARKLED. A WOMAN POINTED THIS OUT TO ME AND SHE SAID IT IS OUR LADY. Thank you for all you do! I can’t tell you how much I appreciate your dedication! You keep me from losing hope with everything that’s going on. Whenever I start freaking out, I turn on Mary TV and listen to you and it brings me so much peace! Please don’t stop what you are doing. It’s helping people all over the world! May God continue to richly bless you! singing, "Ave, Ave, Ave Maria " with you and Cathy. It also makes Mary smile when the students pass the statues of Mary and Joseph and give them a kiss. You and your family are Mary's shepherds for the rest of us! Today we celebrate St. Josephs Day at our school. The table is set up with the linens my grandparents have from Italy, I will send you a picture during your rosary today. There is no money that could possibly pay back Mary’s TV enhancement of our spiritual lives. Its actually priceless. God Bless You & Denis. Praise be to Jesus, Mary, Joseph and all the saints for delivering a very positive outcome to a difficult court case. Thanks to all here who prayed for my intentions. I will be forever grateful. Mary Immaculate, Queen of the Universe triumph and reign. Jesus I trust in you! Always remember the greatest power on earth is prayer. My adult daughter was living with us, searching for a job. She had sent out her resumes all over the country and beyond; with no success. We decided to pray a Rosary Novena to Our Lady asking for her intervention. This was in late August of 2016. On September 8, the day the Church celebrates Our Lady's birthday, an offer came in from the Catholic University in Washington, DC. My daughter accepted and began her new career at the University in October of last year. Thank you, dear Mother! This morning my husband was out working here in Daytona Fl ..
for a 96 yr. old lady who was from Portugal. They started talking about Fatima and then Medjugorjie. The caretaker who was also in her 90's said, 'I wish I had rosary from Medjugorjie." My husband pulled out a rosary blessed by Our Lady from Medjugorjie with your card. This women started crying and said, you have no idea how I longed for a rosary from Our Lady. Kellie ( 15 yr.old with Downs Syndrome ) has a job, the manager of The Ice Cream Parlor at Fr.Lopez High School..
Kellie prayed everyday to go to Fr.Lopez, to get a job , go to college, and to get an apartment . So far 2 of her prayers have come true. Kellie's siblings all 7 of them attended Catholic High School, so Kellie wanted to also. And she did ! Besides the many obstacles, Kellie is the 1st Down Syndrome student to attend Fr.Lopez . She attends classes and now is the manager of her own Ice Cream Parlor. She is saving her money and praying to go to college and get her own apartment. Keep up the daily rosary and never give up asking for Our Lady's help . Peace in your heart and peace in your homes!! John 7:16 "It comes from the one who sent me." As a fellow prayer warrior, I can testify to the daily miracles that are taking place in my life and around the world. Through your steadfast courage and strength of commitment to bring MaryTV to the world, Our Lady of Medjugorje is responding by bringing an awakening of renewed faith, hope, love and peace. I am casting down my sorrows for joy every morning I wake up to the sound of joyful hearts on MaryTV. Since I have devoted my time to praying with all the saints and prayer warriors on our boat, my eyes are on heaven and Jesus. Therefore, every day is a victory for me. May God continue to bless our little boat. Thank you MaryTV. I love you! My husband and I met in Medjugorje  In October of 2010. 1 1/2 years after the death of my first husband, I ended up on a pilgrimage to Medjugorje with a local church group. I guess The Blessed Mother knew I needed some guidance, because I normally would never have done a trip like this without my family. Looking back, I see that I did. I really knew little about Medjugorje. All I knew was, I couldn't keep counting on my young adult children to keep revolving their lives around their Mother. They needed to move on and so did I. Meanwhile, The Lord had plans for a man, Jim on our pilgrimage also. Jim lost his Mother Avis in July of 2010. He had an old school friend come to his Mothers wake. She told him about a trip she was going on to Medjugorje. She said there was an opening for more pilgrims. She thought maybe he would like to come. After thinking about it and a bit of encouraging from his sister, he decided to go. On about the third day. Our group, with a tour guide, climbed Cross Mountain. What a wonderful experience this was. We did stations of the cross on the way up. There were people praying in groups in all different languages. Everyone was very respectful of not interrupting any other groups. As we journeyed up the Mountain, a sense of peace came over me. Still grieving the loss of my husband, I planned on doing a little journaling when I got to the top of the mountain. A friend from work who had been to Medjugorje ten years earlier recommended, I take something of Johns with me and to just let go. So that's what I planned. As our group reached the top of the Mountain, I looked for a place to sit down in private. I found a spot and proceeded to get out my notebook and pen out of my backpack when a man from our group came and asked me If he could take my picture. I said he could and then we proceeded to talk. I unloaded my story on him like I had never done. He listened and told me he was a retired police officer from Kalamazoo MI. He was on the pilgrimage because a women from our group went to his Moms wake. This was very unusual for him to go on a trip like this also. After this , we became buddies. We enjoyed each other's company. After we got back home we stayed in contact and began to date. We lived about a 7 hour drive from one another. A year and a half later he proposed at a place called "Cross in the woods" in Indian River MI. We were married on March 3rd 2012. A priest that was with us when we met in Medjugorje married us. We prayed the Rosary at the beginning of our ceremony. The Gospal reading for that week was the transfiguration. Father Robb gave a beautiful homily about the fact that he thought it was fitting that the reading for our wedding was the transfiguration, because we met on a mountain and was transformed by the grace of God. It was a beautiful ceremony. After the wedding we all went to have dinner . It wasn't until then Father Robb put something together he hadnt before that moment. The three deciples Jesus brought up on the mountain for the transfiguration were James, Peter and John. My new husbands name is James Peter and my deceased husbands name was John. We thank God and Our Lady of Medjugorje for the grace he has given to us. Our love for The Lord has transformed our lives. We are grateful, humbled and blessed. My name is Michelle Buckley from Dublin, Ireland. I just want to thank you so much for all your work, love and faith...praying along side you in my kitchen everyday! I've been going to Međjugorje since ive been 19 years old..I'm now 33. All my friends and prayer groups i've been part of stem from Međjugorje. My whole life is a fruit of Međjugorje..I met my husband there in 2010 and I received a beautiful prayer into my heart on the plane on the way home from Medjugorje to celebrate a ten year anniversary trip with the group pure in heart. The prayer was a simple & beautiful prayer...to pray for love to conquer in the hearts of everyone in the world for Jesus, but i also got the gift of certainty that i was to marry the beautiful Paddy who I had met in Međj 5 months earlier. Róisín (3 and half)and Elizabeth19 months. They sing the Ave Maria with Denis everyday as they're colouring and playing and the baby even sang it today at the start! They ask me to put on Cathy and Denis if you're not on and we absolutely loveee the daily rosary and fruit of Međjugorje shows. I'm a secondary school teacher(high school) but I'm at home on career break with our girlies thank God and Mary tv is a gift to me being at home with the little ones..Thank you to all of you who work hard to stream Mary tv and put all the programmes together. Today after reading Denis Update for the second time and watching A Moment With Mary also for the second time i feel lead to write you a short note about what Mary TV and Our Lady of Medjugorje has done for me. In January of 2016 my family and I experienced a life shattering event involving Christian our adult autistic son. Words can in no way describe the amount of pain, despair, and desperation we felt as this tragedy unfolded in our lives. Never before in my 57 years of living have i felt the amount of truly excruciating sadness i felt at this time. I truly thought life might be over for me, as this just may be more pain than i was able to bare. It was at this time, the lowest point of my life, where it appeared i might be losing everything i held dear that somehow and someway God in his infinite mercy brought me to Mary TV and in turn to Our Lady of Medjugorje and her messages. How i found you i truly dont know other than God brought me to you. As i began to watch Mary TV on a daily basis either on my computer or now on the Mary TV App i slowly began a now 15 month journey wich i believe may have literally saved my life. Up till this moment in time while i was aware of the Holy Rosary and the Divine Mercy Chaplet i prayed them sporadically at best. Well, for the last 15 months i have prayed them both daily with you on Mary TV and miracles began to happen in my life and the life of my family. 15 months ago my marriage had been shattered and today my marriage is being healed. 15 months ago it appeared possibly my precious son Christian could be looking at a number of years in prison and i must admit was a thought i truly could not bare. Today my precious son Christian is in a facility where he is receiving excellent mental health treatment and is improving daily. Just two days ago i sat in a courtroom with my son Rosary in hand and witnessed a judge speak of my son with such mercy and compassion that still two days later i am still trying to comprehend it and take it all in. My son will not go to jail, my son will not go to prison, but my son will continue to get excellent mental health care. It appears he will now be home in a matter of weeks and not years. As Denis often says "Praise Jesus!" My son is now attending the Catholic Services at his mental health care facility and is closer to God than he has ever been before. Christian tells me now almost daily "Well Dad, I'm a Catholic now and God has forgiven me." Now for your average person to make this verbal statement to his father this would be of course a wonderful blessing, but Denis and Cathy for a autistic individual such as my son it is truly a miracle! I could go on and on as to the graces and the healing my family and i have experienced and are experiencing as we continue on this path we are on. While it may be true we still have a long long way to go we now know that we have the strength, the faith, and the hope to pick up our cross and move ahead with God, with Jesus, with Our Lady and with Mary TV. I know this note was rather lengthy but i just felt that at this time when some are questioning Medjugorje and Our Lady i needed to share my story with you and hope that in some small way express my gratitude that when i needed help the most God in his infinite mercy placed Mary TV in my path and started the process of healing and perhaps literally saving my life. May God bless you always and the entire team at Mary TV. And let me close by saying i am forever grateful. Thank you both for bringing the world Medjugorje through Mary TV. I start my day with Mary TV and one of my favorites is the Divine Mercy Chaplet, scenes and beautiful music from Medjugorje, I am transported back to that Heavenly place, which is where I want to be! I have been blessed to have gone there three times and never want to leave and always want to go back; who wants to leave Heaven……. I hope you have a Blessed & Peaceful Christmas and a Safe New Year! May God pour His Blessings, Love, Grace & Peace down upon you both, your family and Mary TV! My father-in-law is a devout Buddhist having a big altar at homeFor the purpose of courtesy and peace in the family, I go to the altar, but of course I pray to our Lord for all the deceased…. I am the only Christian among the family and very new to this place, so I sometimes feel difficulty, sadness and loneliness. But I really tell you that Mary TV is so powerful and huge help and encouragement for me NOW! !God is working in me and strengthening me through [you] MARY TV. Praise our Lord!!! I now try to watch and pray in your Daily Rosary program very early in the morning before my day starts. Because I get so much strength and joy from it! through Mary TV, I always feel God and get filled with the Holy Spirit. When your music starts, my heart and soul is lifted up!! Thank you indeed! Glory to Jesus!! Thanks to our Holy Mother!! PS. And of course, you can talk about me and use and mention my real name, Keiko or Keiko Yoshida. That's perfectly fine! No problem at all!! I am one of those who are listening to and getting strength from Mary TV! I can't express myself in words, or in English well, but I just want to say that I feel a sort of same spiritual line or direction with you, so I am listening to you, Denis and Cathy, in perfect peace, ALWAYS! It is a wonder and I thank God for having led me to you, Mary TV, in this vast digital sea! Thank you, Gospa, my eternal Mother! May God bless you and Mary TV! Again I thank you very much for praying with me, for me and having me as your shipmate!! Thank you for this wonderful update Denis. The work you do for Our Lady and Jesus is phenomenal. Mary TV was instrumental in my own conversion in October of 2011. At the time I was mired in a deep hole and had wandered from the Catholic faith of my youth. Thank you for this wonderful update Denis. The work you do for Our Lady and Jesus is phenomenal. Mary TV was instrumental in my own conversion in October of 2011. At the time I was mired in a deep hole and had wandered from the Catholic faith of my youth. As a retired cop I had seen my share of incredible violence over the years and it hardened me to a point where I had little care for anyone outside of my own family. Then an old friend of mine from Cursillo days (in the early 1980's) introduced me to Mary TV and to our Holy Mother who I had neglected for years. In literally a matter of a couple of days I rediscovered Her and fell in love with Her. Now, six years later, my wife and I live and breathe the Catholic church. We have both made the St. Louis de Montfort consecration to Jesus through Mary many many times. Daily Mass and communion is pure joy. I like to tell people that I know that Jesus saved me, but he sent his Mom to rescue me through Medjugorje, and she did in a big way. I have you and Cathy to thank for this as well Denis. I can only imagine how many people you two have lifted up into the arms of our precious Mother Mary. Thousands are viewing our LIVE Medjugorje cameras everyday. Each viewer increases streaming costs to MARY TV. We need donations (tax deductible). Become part of Mary TV’s mission for Our Lady! in stocks and bonds! Contact us!